Energy infrastructure can have a significant environmental and social footprint and lead to landscape-level impacts, even while serving as a necessary development pathway. Voluntary standards and rating systems are recognized as some of the most effective tools to drive innovation in sustainable development. The proliferation of quality programs provides an opportunity for systems to work together, democratizing access and streamlining implementation and verification for even greater impact. In a new collaboration that brings together Equitable Origin’s EO100™ Standard and USGBC’s SITES® and PEERTM rating systems, Equitable Origin (EO) and USGBC hope to drive increased adoption, streamline implementation and improve outcomes for users of their systems. SITES is a rating system for developing sustainable landscapes, and EO addresses the social and environmental performance of energy development sites. Given the potential for landscape-level impacts from energy development, there was a natural opportunity for the two systems to join forces. Last month, the groups collaborated on an initial benchmarking exercise that demonstrated that the SITES criteria have extensive overlap with EO100 Principle 5: Climate Change, Biodiversity, and Environment. Meanwhile, EO100 principles describing social Performance Targets complement and enhance those requirements in the SITES system. EO and the SITES program staff plan to pursue the project further, with the hope that each will eventually be able to reference the other in implementation guidance and recognize performance on certain criteria and provisions as equivalent. PEER is a dynamic, adaptive rating process designed to measure and improve sustainable power system performance; the PEER system serves as a tool to accelerate transformation of the power sector. PEER’s scope complements EO’s by tackling the reliability and resiliency of microgrids that deliver responsibly produced energy to users. The two systems plan to reference each other in public guidance material as examples of good practice throughout the energy value chain, providing energy purchasers with a way to ensure their energy sourcing is in line with their responsible procurement commitments. Harmonization is a key concept for innovation in voluntary sustainability standards that creates efficiencies in implementation, assurance and reporting. This adds value for companies adopting those standards and for systems that wish to broaden their reach and demonstrate impact to stakeholders. EO and USGBC are excited about their joint effort in this space, and will publish further outcomes as they emerge. EO leverages the EO100 Standard to drive responsible energy development by fostering stakeholder dialogue, delivering training and building capacity and helping companies benchmark and improve their performance. USGBC transforms the built environment through its portfolio of green rating systems, including its flagship standard, LEED®, making it a key driving force in the sustainable building sector. With Green Business Certification Inc.® (GBCI), USGBC develops and maintains the PEER and SITES rating systems. Performance Excellence in Electricity RenewalTM (PEER) is a rating system and certification program for defining, assessing and verifying the overall sustainable performance of electricity delivery system design and operations. Modeled after LEED, PEER is the driving force behind the U.S. Green Building Council’s vision to transform the way power systems are designed, operated and evaluated. 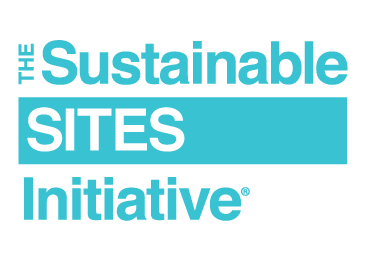 The Sustainable Sites Initiative (SITES) is the most comprehensive program for developing sustainable landscapes and is used by landscape architects, engineers, architects, developers and policymakers to align land development and management with innovative sustainable design. The SITES rating system defines what a sustainable site is and, ultimately, elevates the value of landscapes in the built environment. The rating system can be applied to development projects located on sites with or without buildings—ranging from national parks to corporate campuses, from streetscapes to gardens.